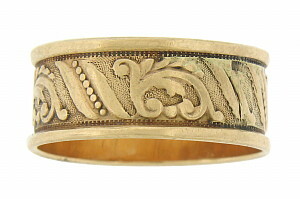 This 10K yellow gold antique wedding band is adorned with a rich floral pattern. 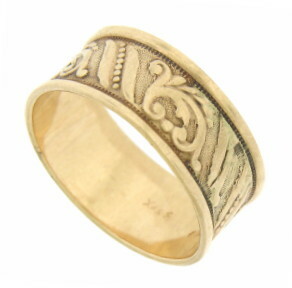 The surface of the band is covered with a darkened stippled pattern and impressed milgrain decoration. 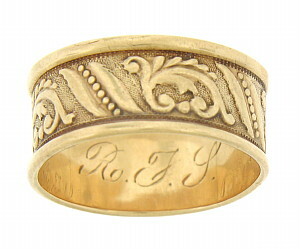 The wide Victorian wedding band measures 7.89 mm in width. Circa: 1910. Size 6. We cannot re-size.